The Watch Out Better Watch Out! We were back at Viera Wetlands on Monday. Not much activity going on this time of year. I had an appointment Tuesday with the surgeon, so we went over the day before. It is 100 miles to Melbourne, FL. and it breaks up the trip to take our time. The photo at top was taken about 150 feet or more away. 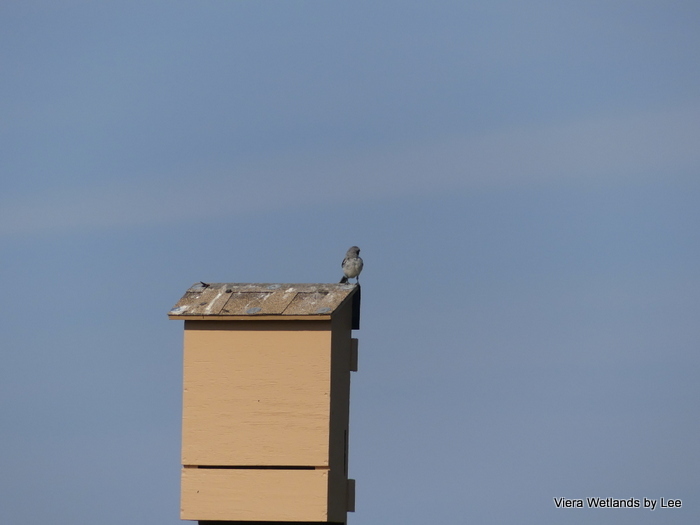 I zoomed in, trying to figure out what bird was sitting on the house. 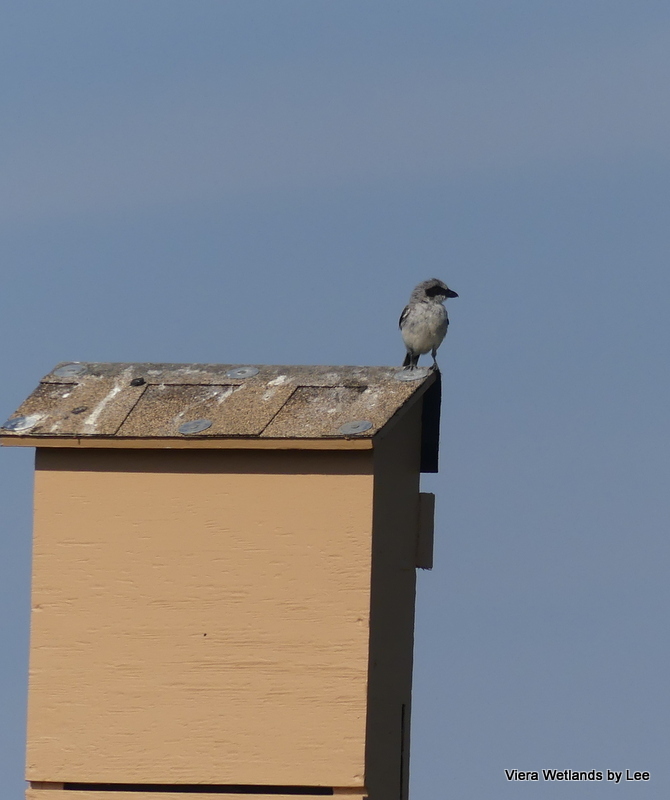 It was a Northern Shrike. Yet, when I got home, here is what I discovered. I couldn’t believe that the wasp had such detail, considering how far away and in only “program mode” on my Panasonic Lumix. Wow! 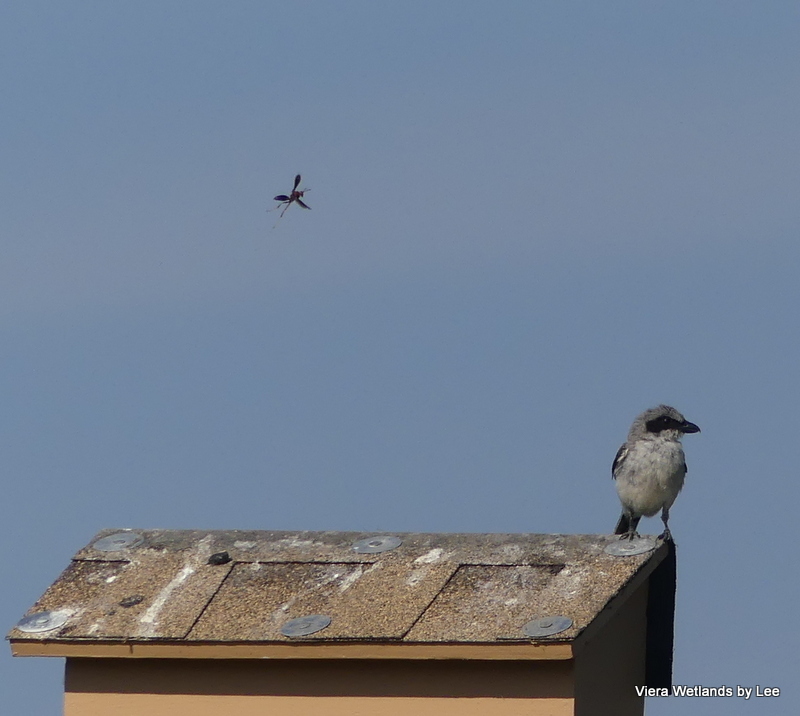 That Shrike better watch more carefully or he might get stung. Even when birding seems slow, there are always surprises awaiting us. Just like the Lord. Just when we think we are going to live with a walking handicap, a surprise corrective surgery is presented. He, the Lord, always cares about us. Stay tuned to see if this will fix the issue. 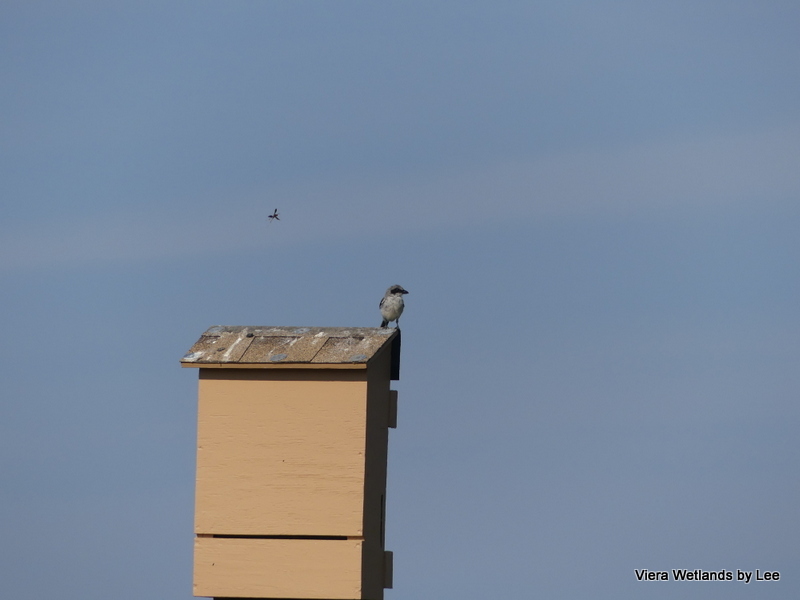 This entry was posted in Birds, Birdwatching, Christian and tagged Back Surgery, Corrective Surgery, Northern Shrike, Psalms 59, Viera Wetlands, Wasp, Watch. Bookmark the permalink. Praying for you, Lee, and for the skill and wisdom of the surgery team. 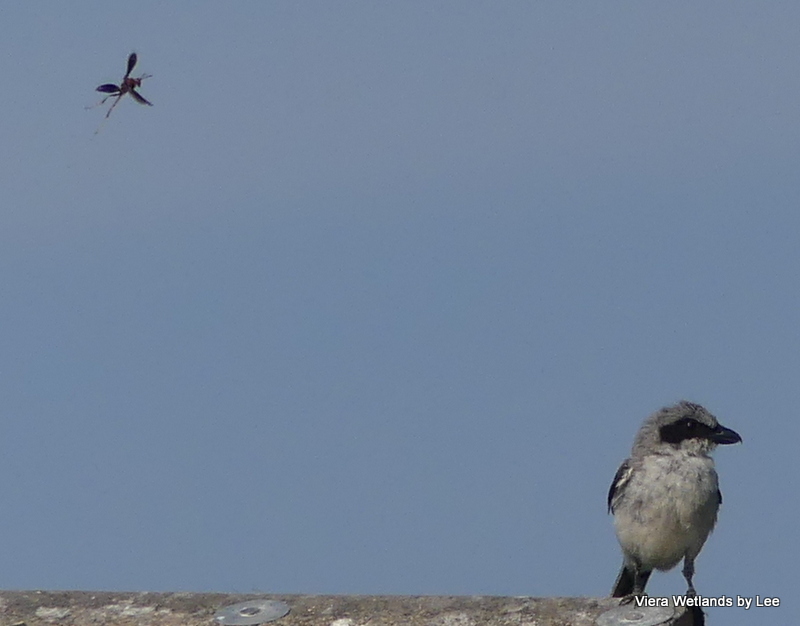 By the way, what amazing photography — of both the shrike and the wasp! So, will the bug slug the shrike, or will the shrike strike the bug?